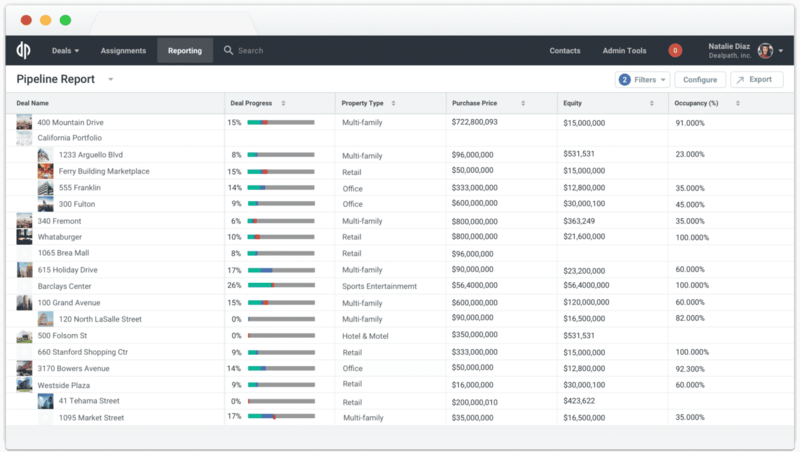 Dealpath provides a suite of features including smart pipeline tracking, powerful deal analytics, and collaborative workflows so teams can focus on value-add work and produce optimal risk-adjusted returns. 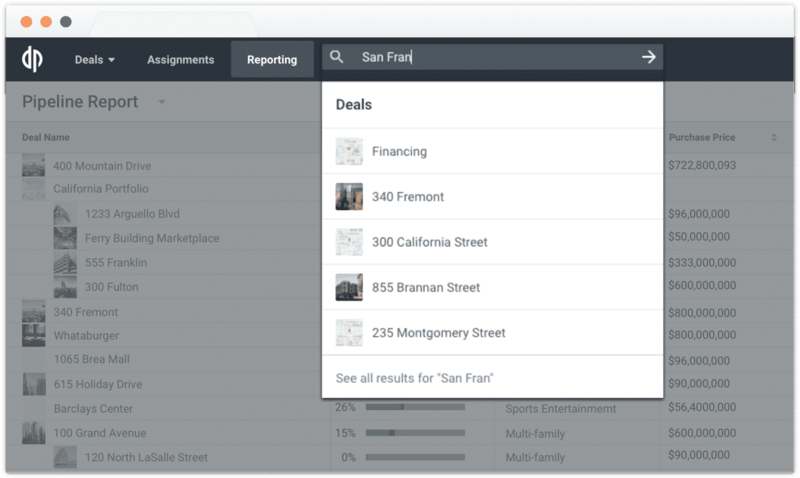 Your Deals Dashboard provides high-level visibility and the controls to focus on what matters. View the deal analytics for your entire pipeline, establish a repeatable process with appropriate visibility, and create a knowledge base for every deal your team works on. 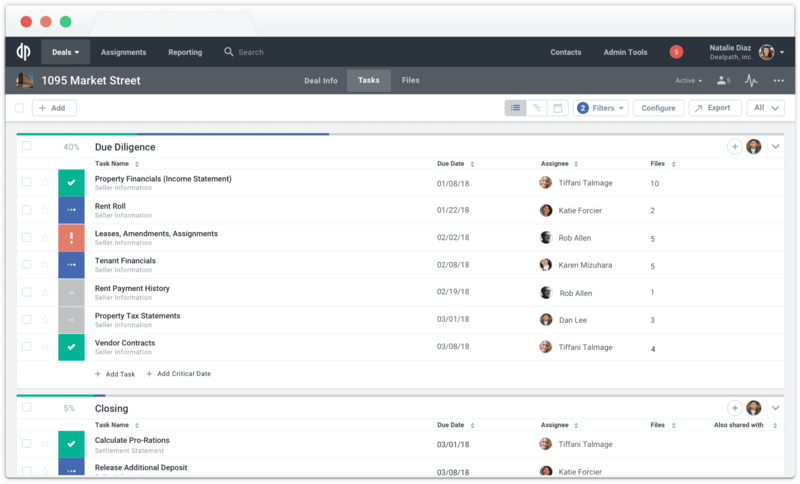 Customized and collaborative workflows ensure that work is complete on time and nothing falls through the cracks. Efficiently distribute work, track receivables, and keep everyone accountable. Strategic notifications take the time and complexity out of deal management. Powerful reporting is always up to date, accurate, and accessible, providing actionable insights for building value. Leverage real-time deal analytics to make data-driven investment decisions. Save time and minimize errors with up-to-date reports and intelligently structured data. Intelligent search provides contextual relevance and creates an easy-to-use content management system. 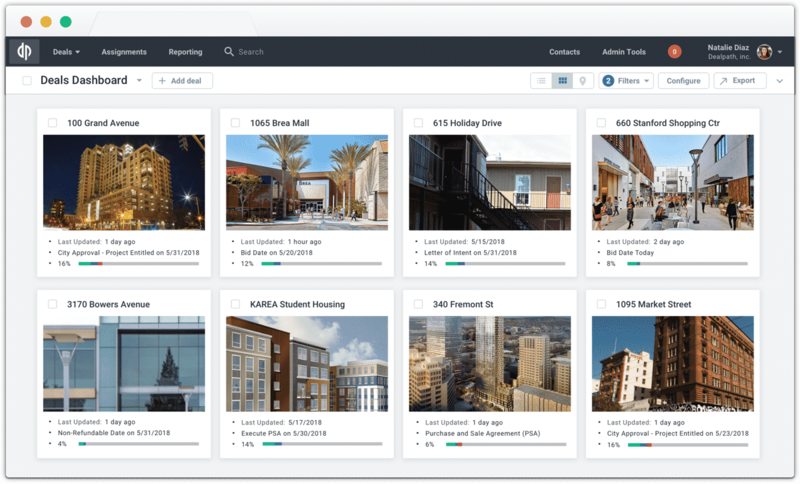 Instantly find the files, deals, and properties you need with an intuitive search bar and intelligently structured data. 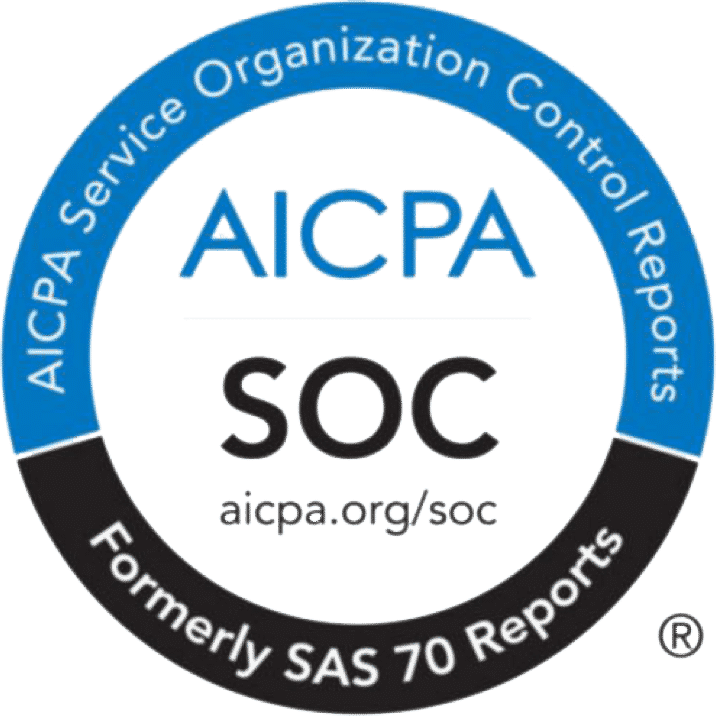 Build and protect enterprise value with a complete data security suite with SOC 2 certification. Control proprietary data assets and liabilities with authentication protocols and SHA-256 encryption for data at rest and in transit. Selectively restrict access so users can only interact with the data they need.